Stay Fresh Organics' whole green cardamom pods are grown on an organic farm in India, which offers the perfect tropical, hot and humid climate that cardamom thrives in. Once the pods are harvested, they are packed into our resealable packaging to Stay Fresh for longer. 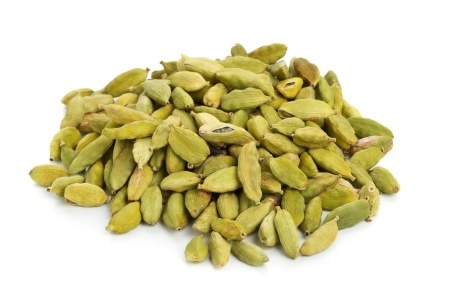 You'll find our organic cardamom pods warm, aromatic and a fantastic addition to many recipes. Cardamom is traditionally used in Indian cooking and Scandinavian baking. 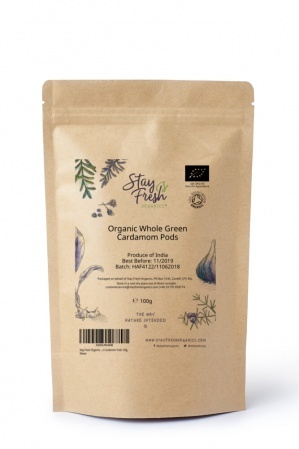 It is from the same plant family as turmeric and ginger and like them it has many medicinal properties.